Sharp Objects Blu-Ray details announced! We’ve only just finished the dark and twisty adaptation of the acclaimed 2006 Gillian Flynn novel Sharp Objects, but HBO has announced that the miniseries is available to purchase through digital retailers now and it will hit shelves on Blu-Ray and DVD on Nov. 27! Based on the book by bestselling author Gillian Flynn (Gone Girl, Dark Places), this eight-episode series tells the story of reporter Camille Preaker (Amy Adams, Justice League) who returns to her small hometown to cover the murders of two preteen girls. Trying to put together a psychological puzzle from her past, she finds herself identifying with the young victims a bit too closely. 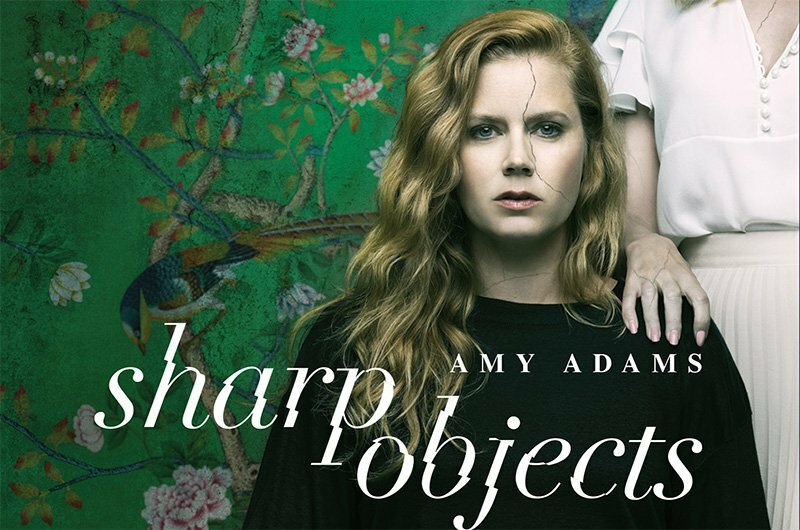 Sharp Objects was created by Marti Noxon (Dietland, UnREAL, Code Black) who serves as showrunner and wrote several episodes, as did Gillian Flynn. Patricia Clarkson, Chris Messina, Eliza Scanlen, Elizabeth Perkins, and Matt Craven also star, as well as Henry Czerny, Taylor John Smith, Sophia Lillis, and Madison Davenport. Jean-Marc Vallée directed all of the episodes and co-edited the series. Noxon, Vallée, Adams, Flynn, Jason Blum, Nathan Ross, Charles Layton, Jessica Rhoades, Gregg Fienberg, Marci Wiseman, and Jeremy Gold all executive produce the Entertainment One (eOne) and Blumehouse Television production. The series earned rave reviews from critics for its slow burn, stylish direction, dark and hefty storytelling and performances from its cast, namely Adams in the lead role, and maintains a 93% “Certified Fresh” rating on Rotten Tomatoes from critics. The Blu-Ray and DVD copies only feature the “Creating Wind Gap” special feature. Both editions of Sharp Objects will be hitting shelves on Nov. 27. The post Sharp Objects Blu-Ray Details Announced appeared first on ComingSoon.net.